Thanks to our volunteers and donors, AID INDIA has distributed 8 truck loads of relief materials worth Rs. 70 Lakhs in remote tribal villages and relief camps in Wayanad, schools and hostels in Idukki, in children and old age homes in Ernakulam and a hospital in Alapuzha. We have distributed: Family Kits with dry rations, Blankets, Mats, Paste, Brush, Soap, Towel, Children’s Kits, Food, Water Bottles, Biscuits, Blankets, Medicines, Cleaning Materials, Vessels, Napkins, Nighties and Clothes. Every day around 60-80 volunteers have been coming to our office to help pack and load the relief materials into trucks. Many volunteers have been helping with collection and donation drives. 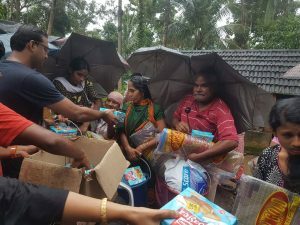 Some have also gone with the trucks to Kerala and met the the affected people and directly distributed the materials. 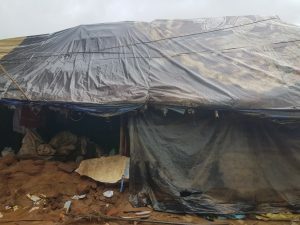 In many places, our teams have walked long distances to carry the supplies into interior hamlets to ensure the relief reaches those in remote areas. Our teams found that inspite of the huge losses they have borne, people have a strong sense of confidence and feel they will be able to recover soon. 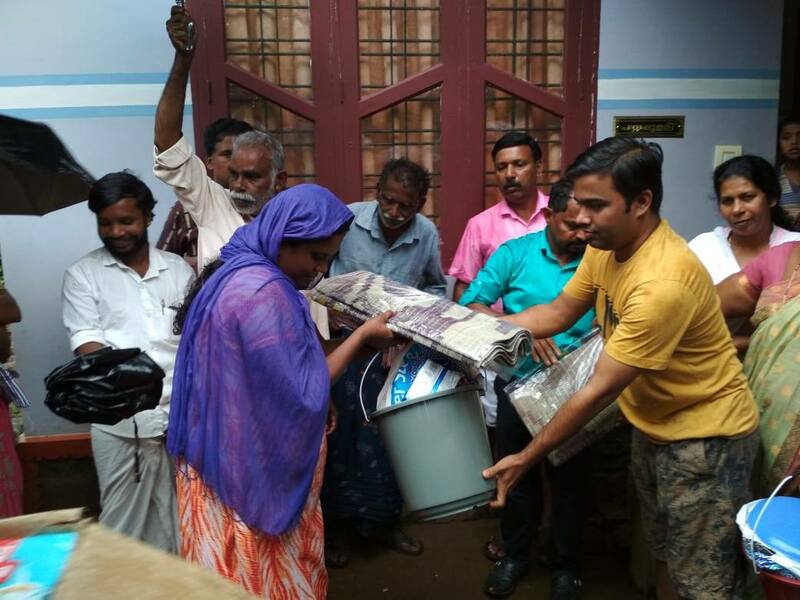 Kerala shows the power of collective action in unique ways: from the organized way relief gets distributed, to the way local community leaders ensure everyone gets their share. 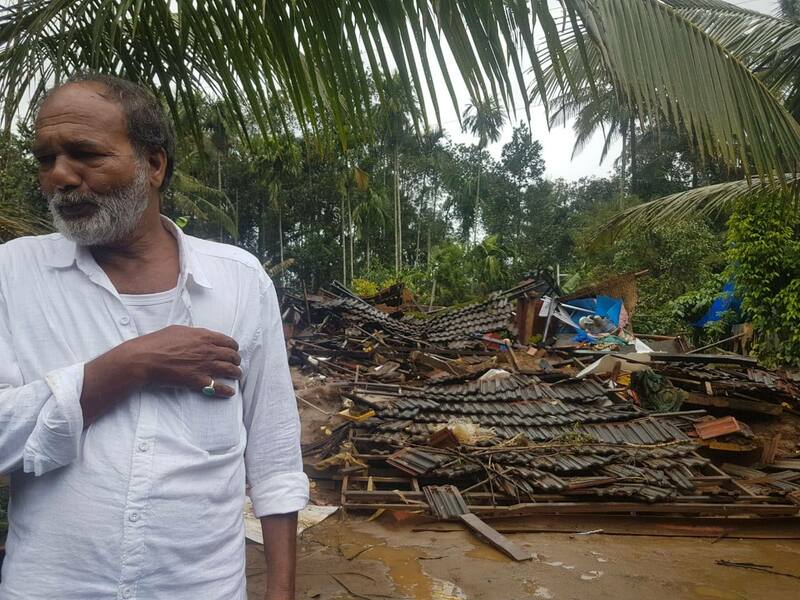 In many of the tribal areas and remote villages, we found entire houses and huts that had been washed away. Once the situation stabilizes and the relief phase shifts to rehab, we will help these people rebuild their homes and also address health, education and livelihood in these villages. 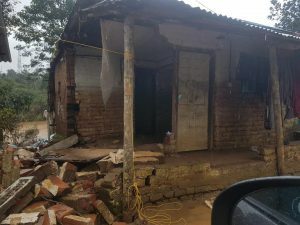 There is a lot more to be done, both in providing relief support and in starting rehab efforts. So please do volunteer and donate generously.